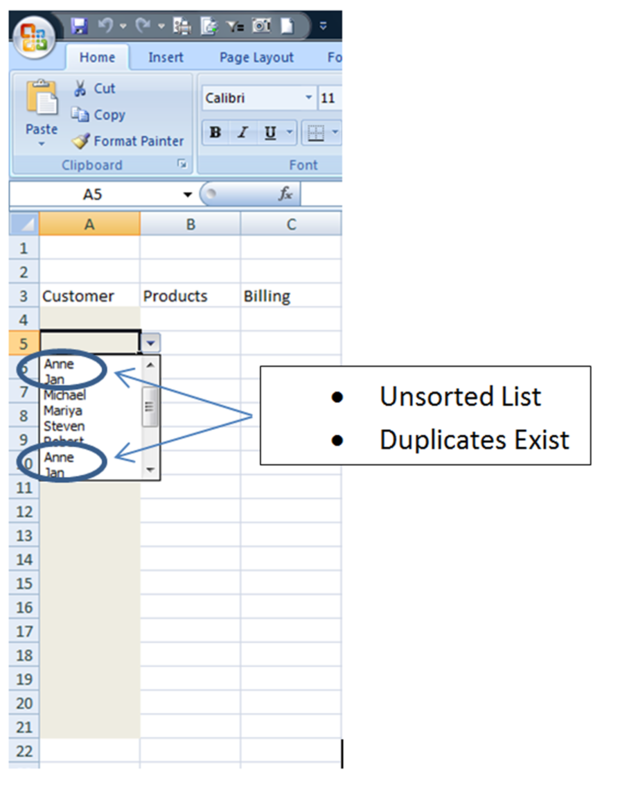 This article focuses on delivering unique, sorted lists to list objects (e.g., ComboBox, ListBox) and Data Validation (DV) lists. This is the Part II article, I promised, as a follow-on to Drop Down List with Unique/Distinct Values (Enhancing the ComboBox with a few steps and a little code) http:\A_5062.html,, where I've modified the code to support OLE Objects (Active-X Controls) that support lists (e.g., ComboBox and ListBox are the practical examples, today). In addition, I've taken some of these learnings and applied them to a related Contextures tip http://www.contextures.com/xldataval10.html to greatly simplify the effort, for some, via enhanced Data Validation lists. In each example – list object (ComboBox, ListBox) or DV list – I’ve leveraged the use of the dictionary (see matthewspatrick’s related article http:\A_3391.html) and a sort to deliver a unique list to these controls, based on an initial setup of a listfill range (or DV List range). I’m not going to go into detail on the first part (ComboBox and ListBox) as the documentation in Part I of this Article, http:\A_5062.html, achieves that end. Suffice it to say, I leveraged the same routines, “objectivizing” my variables such that either ComboBox or ListBox could be used interchangeably, based on preference. I’ve also leveraged “late binding” for the Dictionary class, to ease deployment without the need to explicitly add the appropriate reference library. The code that achieves this transformation is posted (along with demo spreadsheet add-in) at the bottom of this Article. The remainder of this write-up will focus on the Data Validation (DV) list, and how, with a few simple steps and a little code, we can dynamically deliver unique sorted lists for general use in any workbook spreadsheet. How to install and use the Dynamic DV! Add-in. At the bottom of this article, there’s a second posting for the Dynamic DV! Add-in. 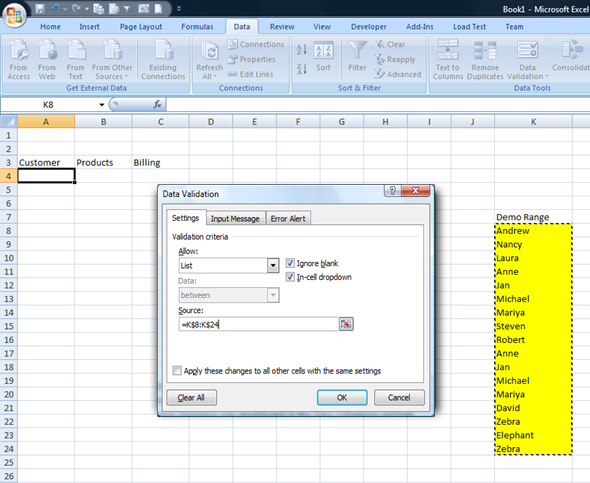 With the add-in loaded, any data validation in any workbook that references a range for its reference list will have access to the features of Dynamic DV! Note: Dynamic DV! depends on the Worksheet_Change() event, so if for some reasons events become disabled, just select the Dynamic DV! menu on the Add-ins tab and choose the Initialize option to reinitialize the event class for the tool, and re-enable Events. Once the blank workbook is created (or any existing workbook is opened), a click of the button on the worksheet initiates code to deposit a hidden temporary ComboBox on the active sheet. Just hit OK. Dynamic DV! 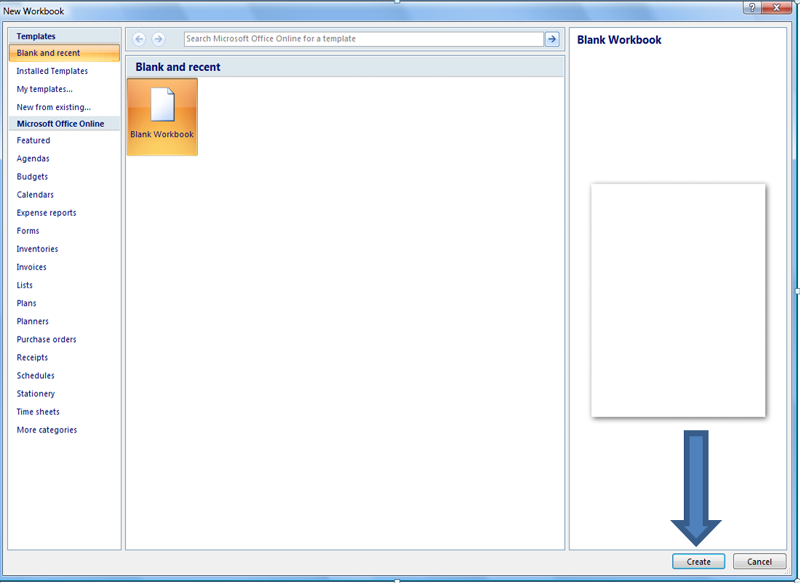 Is now enabled on this worksheet.Note: the hidden TempCombo ComboBox is made visible during use, and is loaded with data, dynamically, as needed. And that’s all there is to it! Create as many DV Lists as you like, pointing to whatever valid ranges that exit, and Dynamic DV! will consistently deliver distinct/unique, sorted list. When selections are made on the worksheet, a Worksheet_Change() event is triggered. The cell is then interrogated to determine if it is a data validation cell with a list and a valid range. The temporary ComboBox object TempCombo is then loaded with a unique, sorted list of items from that range, using the previously discussed (see Part I: http:\A_5062.html) sub loadMyListObjectUnique(). 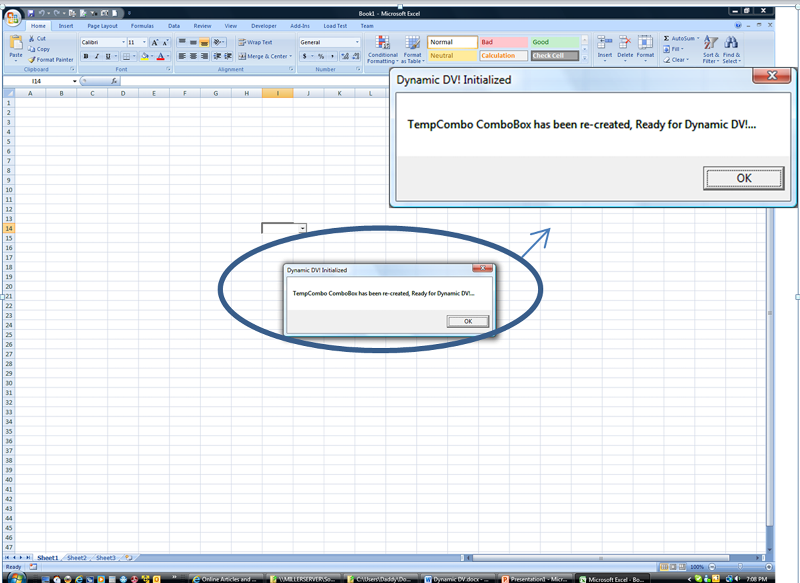 As previously mentioned, and noted in the code, I started with an excellent code snippet from Contextures http://www.contextures.com/xldataval10.html, that instantiates a the TempCombo ComboBox on top of a DV list, when the relevant cell is selected. The value I added with this article is ensuring the ComboBox dropdown is populated with a unique/distinct, sorted list. Thanks to Feedback from others, especially Jfiestere and Bright01, I've incorporated their constructive feedback into these enhancements. 1. 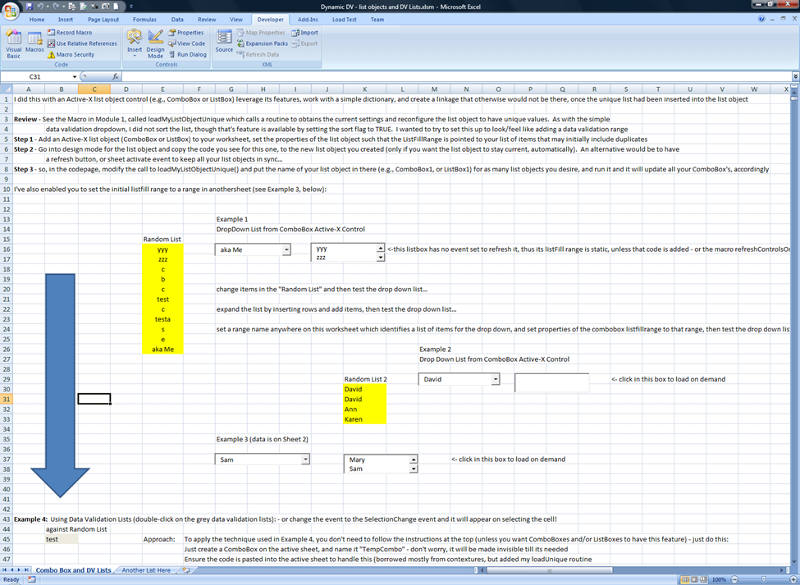 More control as you navigate your spreadsheet. I add a comboBox event handler to support TAB, SHIFT-TAB, ENTER, SHIFT-ENTER, SHIFT-UP arrow, and SHIFT-DOWN arrow navigation, just like with normal Excel spreadsheet handling. The app won't STOP on a data validation range when navigating over one, unless YOU stop. 2. AutoFill bug fixed, now you can start typing and see the text autofill. 5. 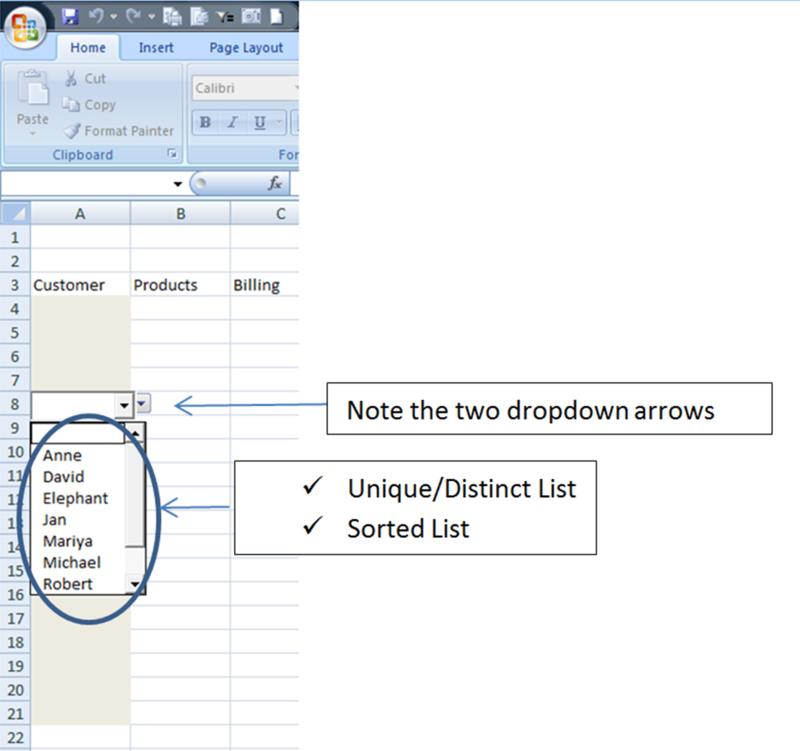 Note, when you are backspacing on a word in the combo box, the cells are highlighted which is a difference from an Excel normal cell or DV cell. I haven't modified this "feature", as you can just hit the delete key when you want the word to be truncated. I also added an auto install function for the add-in. With Excel already started, just download the new add-in version 2.0 and run it, after a couple prompts, it should be installed. There is a revised Add-in menu for DynamicDV! that is fairly self explanatory. You can turn it on/off for your current Excel session, and you can toggle the startup state (e.g., when you start Excel whether Dynamic DV is automatically on or off.) 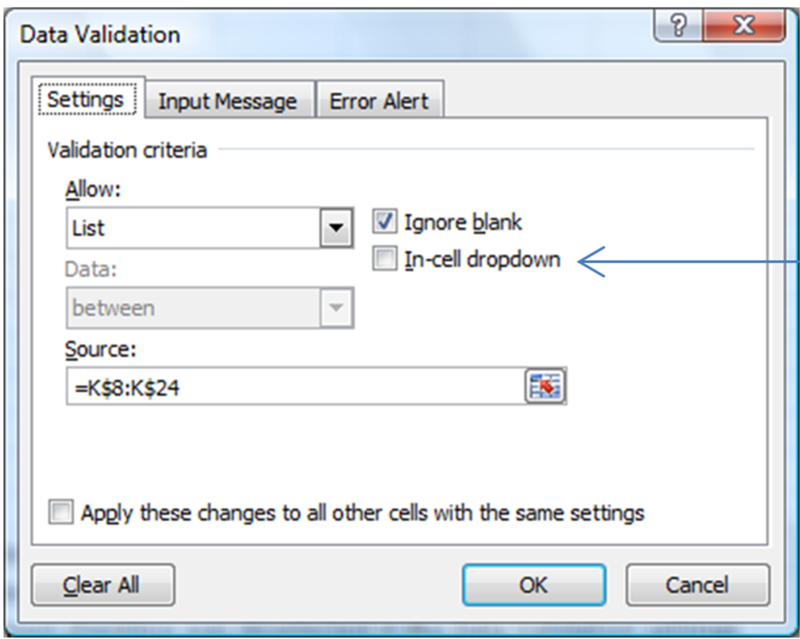 Finally, I also added a ToggleValidationAlert to turn on/off the validation "feature". Attachment III: Original Dynamic DV! Attachment IV:Demo example workbook used in this article.